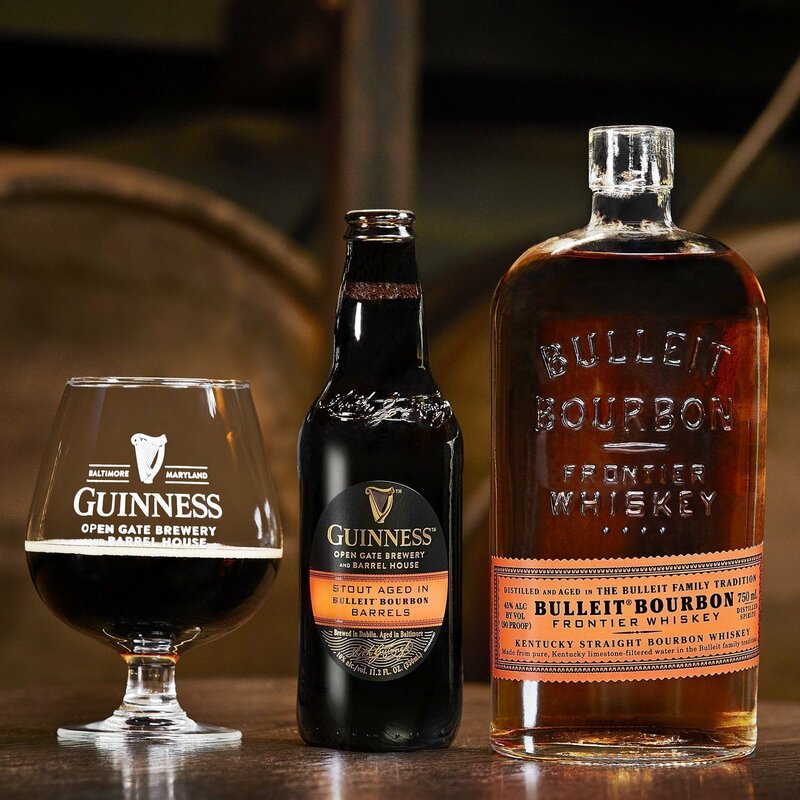 Our friends at Guinness and our buddies at Bulleit have joined forces: Under their corporate banner, Diageo, the duo have done the obvious by putting Guinness Stout in Bulleit whiskey barrels, all part of a grand transatlantic experiment. There’s not a lot of detail to share: The beer is brewed in Dublin, then shipped to Baltimore where it is aged for eight months in Bulleit bourbon barrels at the new Baltimore Open Gate Brewery & Barrel House. Let’s give this clever combo a try. Poured from a (nitro-free) bottle, the brew comes across a lot like standard, bottled Guinness, with a minimal head atop an inky, opaque body. The attack is immediately bittersweet, a heavy bitter-root, rhubarb note that finds a curious companion in notes of vanilla. A bold chocolate note quickly takes hold, sliding from milk chocolate to dark chocolate in short order. This leaves you with a significant grittiness clinging to the back of throat, with a raisiny finish that should be familiar to fans of whiskey barrel-aged stouts. Not bad, but there are better barrel-aged beers out there.